For all of you who know me Football is my life, and with thanks to Sticky ginger and Puma Middle East I get to own the new amazing pair of Puma evospeed boots. 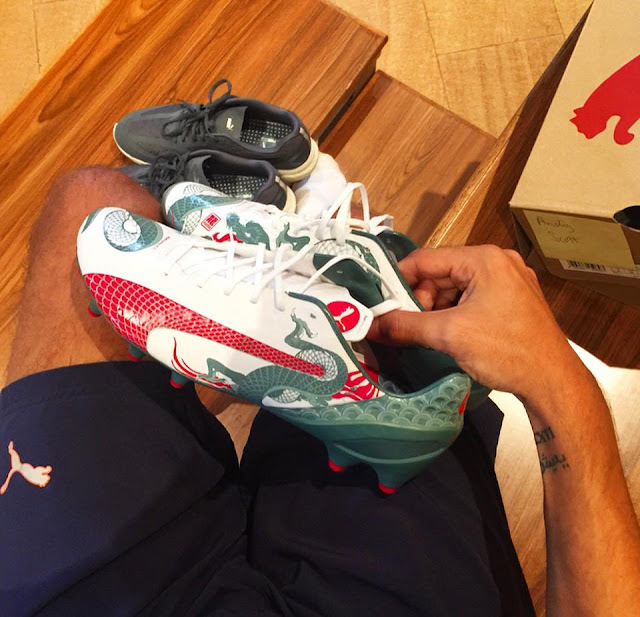 Worn by the likes of Sergio Aguero, Marco Reus & Santi Carzola it's the final details that make this boot so special. I just love how puma express themselves and are not afraid of being completely different and creative. These boots are so light and comfortable and definitely make yourself stand out on a pitch. 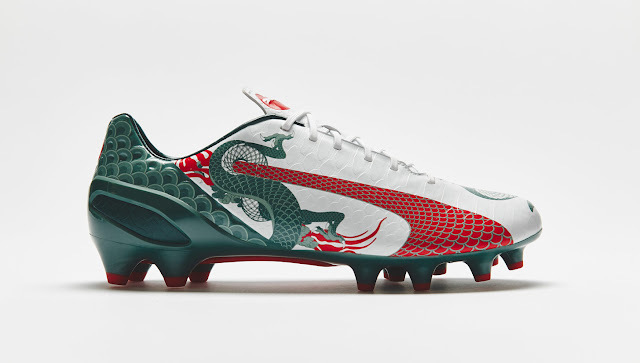 Featuring a bold dragon graphic wrapped around the upper part of the boot, with its head on the material side and tail on the lateral side. 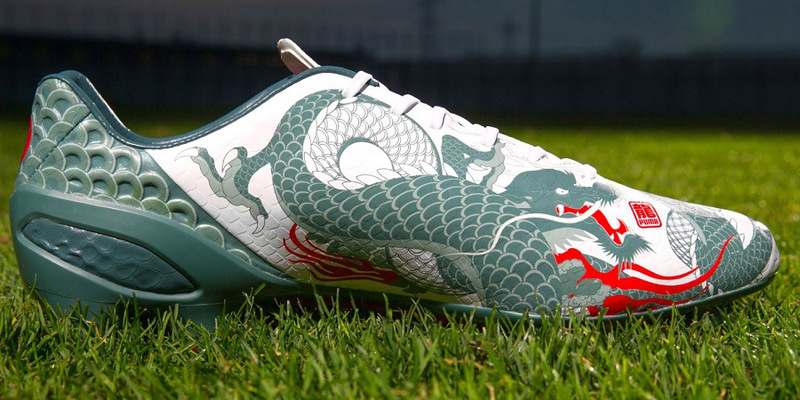 The boot is embedded with a dragon skin texture (no real dragons were harmed in the making) all around the boot.